The Assassin's Creed Community is an international fanbase made up of passionate fans, groups, cosplayers, content creators and sub-communities around the world. The AC Community has existed for over 10 years, and is forever evolving in a dynamic network made up of dedicated fans. Fans within the Assassin's Creed Community participate and engage within an active of community that can be found on many platforms. This article has been created to introduce fans to key aspects of the Assassin's Creed Community (As of 2018), and to find out who to follow in order to stay up to date on community activity. ​Quite simply, the Assassin's Creed Community is not just a fanbase found online. The term refers to Assassin's Creed fans around the world. There are no set requirements for joining the community, and new members join daily. To "Join the community" simply means engaging with other individuals on Assassin's Creed related topics. - Real Life: AC Community members are forever interacting with each other at community meet-ups, podcasts, cosplay events, videos etc. - Youtube: A wide range of Assassin's Creed Youtube Channels can be found online. - Reddit: This platform is often home to discussion and news regarding the franchise. - Twitter: Assassin's Creed Community members often engage in discussion on Twitter. - Facebook: Many Assassin's Creed Facebook Pages exist that encourage discussion surrounding the franchise. - Tumblr: Assassin's Creed community activity on Tumblr is diverse, hosting a variety of blogs dedicated to the franchise. - Ubisoft Forums: The Official Ubisoft Forums has a section dedicated to Assassin's Creed activity. - Assassin's Creed Council: A Ubisoft Platform created for the Community. - VK: A Russian Platform where many Assassin's Creed Fan Communities interact. - Instagram: A visual platform that is frequently used by the Assassin's Creed Community. - The list goes on! As you can see, there are no limits to the spaces in which community members can interact with each other. Access The Animus is a project which was launched on May 11, 2013, with the goal of being able to provide analyses, data and information as clear and reliable as possible for the Assassin's Creed community. Community for AC Merchandise Collectors. Spanish Fan Community dedicated to the franchise. Assassins Creed in Seville. Group belonging to this magnificent city. information, raffles, interesting data, videos and much more! Subreddit for news, discussion and more about Ubisoft's Assassin's Creed franchise. Assassin's Creed United Kingdom is a fan page based in the UK for fans around the world. A collaboration of Assassin's Creed community mentors, striving to lead & foster an engaged, united, and passionate community. Ubisoft affiliated, fan managed. An Assassin’s Creed community and fansite, with the mission to decipher the most cryptic parts of the Assassin’s Creed lore, help franchise newcomers understand the overarching narrative and deliver the latest news about the brand’s progress and the evolution of the plot over time, in its various forms, from main games and spin offs, to comics and novels. Established December 21st, 2014 as The Lore Pages, and later adopting The Codex as a new title. Founded by Ubisoft Star Player and Assassin’s Creed Brand Ambassador and Community Leader, Rino The Bouncer. An Assassin's Creed Fan Community dedicated to providing news, theories and updates. Did we miss your Community? Let us know and we'll add it to the list! 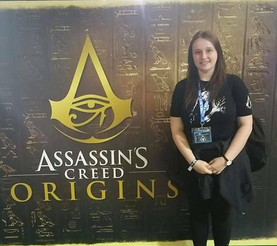 We hope that you found this introduction to the Assassin's Creed Community useful! Let us know in the comments if you discovered any new branches of the Community in this article. We're teaming up with Access the Animus to raise money for Eagle Heights Wildlife Foundation!